Every year I have that same day. I walk out into the yard and discover this, sweet, cloying small that makes me think I dropped a bag of sugar somewhere. Then I notice the blossoms on the lilac bush and remember that sweet smell emanates from those white petals. Several years ago, I harvested those blossoms and made a lilac jamely. I loved it. 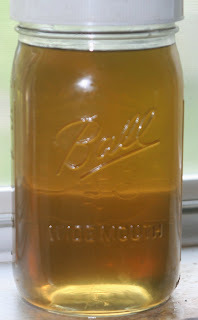 This year, I harvested the flowers and made a simple syrup. 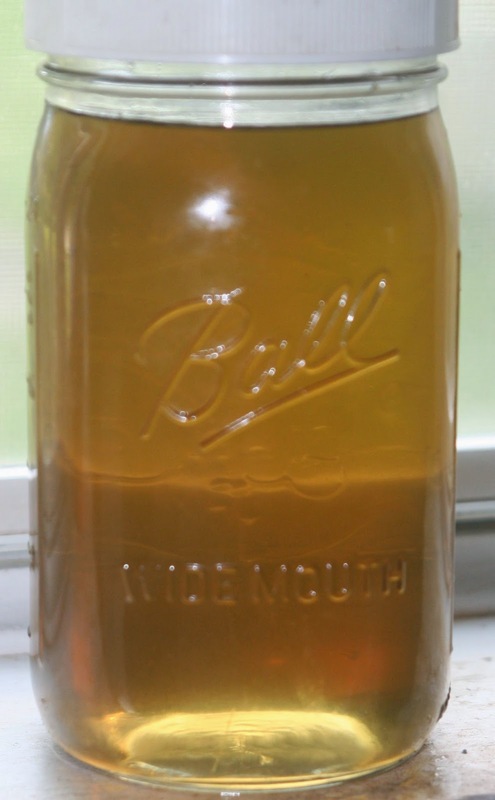 While it was, in preparation terms, a true simple syrup, it was in culinary terms a complex and vibrant syrup; sweet, aromatic, and slightly floral. A perfect accompaniment to cocktails, an added jolt to ices tea, a surprising glaze for chicken, and so much more. 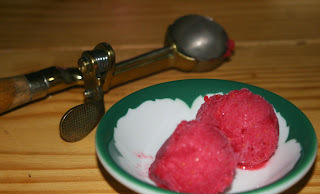 Another great use for lilac syrup is as a base for sorbet. Blues berries, cantaloupe, honeydew, or my favorite, raspberries. In a blender add the raspberries and the syrup. Blend for about 45 seconds. Place the mixture into an ice cream freezer and follow the manufacturer's directions. Think about it, the world is a better place with flowers in it. And so is your sorbet.